The recent winner of the inaugural Glyndebourne Cup, American mezzo-soprano Samantha Hankey will sing the title role in the new chamber opera by David Hertzberg, The Rose Elf, June 6-10. This world premiere, directed by R.B. 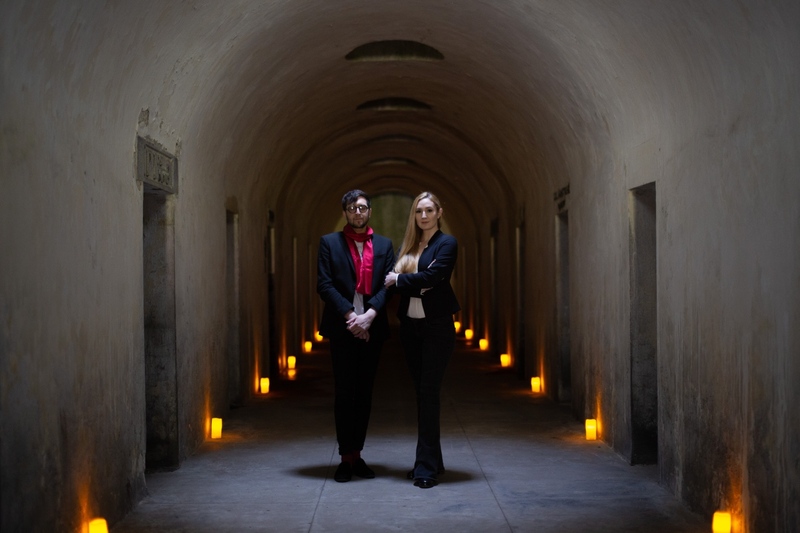 Schlather as part of The Angel’s Share, a new concert series in the Catacombs of Brooklyn’s Green-Wood Cemetery. We spoke with Hankey about performing new work, the art of competing, and the importance of making one’s own rules. For me, there is no other choice, and I honestly cannot imagine my life without music! A part of me opens up and is much more accessible when I am on stage responding to the music. I feel incredibly lucky and grateful to be able to sing professionally and share this with audiences around the world. While the travel can be challenging at times, the variety of the work keeps it interesting and the incredible people and cultures I have met along the way have enriched my life beyond anything I could have ever imagined. I really love the adventure of it all! The most important lesson I have learned - especially since moving away from being a student and towards being a professional - is that I am not responsible, nor obligated, to make art according to anyone else’s rules. This was a lesson hard learned over the last ten years, but it is one that I try to remind myself of every day. As young singers, we are often exposed to a wide variety of strong conflicting opinions so it can be very difficult to find your own voice through all of the noise. At the end of the day, it is our career and our life, and we need to make the artistic and personal choices that makes us who and what we are. It is important to accept all of the feedback, suggestions, and options with an open mind, but always sift through them to find your voice. After all, the art you make is a reflection of you! What do you find most challenging about performing new music? What is most exciting about it? New music challenges me! I often have to spend more time deconstructing the rhythms to get familiar with meters that are used less frequently in “traditional” music and working out the crunchy intervals in my voice. Because of that, it ultimately strengthens my musicianship by keeping my musicality sharp. I find the whole process invigorating! The most exciting part is having the opportunity to work with composers and really understand where they are coming from in their writing and understand the intention behind a melodic theme or rhythmic gesture. Particularly, with David Hertzberg, I can be guided by his emotional intent for both the text he has written and the music, rather than just tempo or harmony. It is so nice that you can skip all of the guesswork! Initially, I approached his music too metronomically, but the way he has set music is perfectly fit for the text, so when a rhythm looks unusual or difficult to divide, all you have to do is speak it to realize it is identical to the natural spoken rhythm and you don’t need to overthink. That’s one of David’s many gifts that show me he truly understands how to write opera. Composer David Hertzberg and mezzo-soprano Samantha Hankey. Photo: Kevin Condon. Compared to performing a role or singing a recital, what do you find unique about the process of singing in voice competitions? Competitions are almost the opposite of what we do in opera - it lacks the fantastic culmination of both creativity and collaboration. Some of the music I most enjoy performing includes a lot of ensemble singing, and because of the solo nature of competitions, they are uniquely challenging for me. There is certainly an aspect of competitions that I really enjoy: I get to perform for new audiences, and it’s an efficient way to “audition,” oftentimes leading to regular performance opportunities. However, I do find the process of competing difficult because of how subjective and isolating it can be, especially when most of my fellow competitors will be future colleagues. I really love being outdoors, and could picture myself doing work with animals, nature, or for the environment!